Newcastle finally secured a much-needed first victory of the season after edging past Leicester 1-0 at St James' Park. Kick-off was delayed by an hour amidst farcical scenes at St James’. With fans kept in the dark outside the ground, engineers struggled to fix a new big screen which had come loose in the wind. For safety reasons, the turnstiles were not opened until 3:15pm, with kick-off put back to 4pm. Man of the Match: Papiss Cisse. Worked tirelessly with little support. Save of the Match: Tim Krul. Dutch stopper smothered Drinkwater strike superbly. Miss of the Match: Papiss Cisse. Why did he choose power over precision? Talking Points: Can Newcastle kick on from here? Were they fortunate to earn three points? Have Leicester peaked too soon? The match itself lacked any real quality, with chances few and far between. Fabricio Coloccini and Papiss Cisse both missed glaring opportunities for the hosts, while Matty James should have done better from a good position. 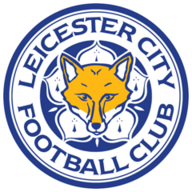 We looked to be heading for stalemate in the north east until Gabriel Obertan intervened, firing an unstoppable shot past Kasper Schmeichel in the Leicester goal as St James' breathed a mass sigh of relief. The Frenchman's first Newcastle goal for two years was enough to secure the Magpies' first win of the season, and alleviate some of the pressure that has been mounting on boss Alan Pardew's shoulders. Despite the win, Pardew's men remain in the bottom three, but are just one point behind local rivals Sunderland in 17th. Leicester are in 13th. When we finally did get underway the action was as disorientated as the flailing engineers who worked to try to fix the faulty screen pre-match. Newcastle manager Alan Pardew says the club now need to build on their victory over Leicester and win more matches in the Premier League. Coloccini should have broken the deadlock after being picked out by Moussa Sissoko, but the defender side-footed wide from ten yards out with the goal gaping. Matty James was equally guilty of wasting a glorious opportunity. Leonardo Ulloa did brilliantly to hold off his man, created space and laid the ball through to James, unmarked, but he scuffed his shot straight at Tim Krul in the Magpies’ goal. The woodwork was rattled in bizarre fashion late in the opening period. Marc Albrighton floated in a free-kick from deep, which evaded everyone and cannoned back off the post with Krul beaten. The home side seemed to have been rejuvenated after the break and were much more of a threat going forward. Leicester manager Nigel Pearson says the team's finishing quality let them down against Newcastle. Cisse really should have scored after capitalising on a poor backpass from Paul Konchesky, but after rounding Schmeichel, he elected to wildly lash the ball home, rather than roll it into the empty net, and missed the target. The breakthrough finally came after a swift counter attack, and caused an eruption of emotion on the St James’ terraces. Cisse picked up the ball on the half-way line, laid the ball off to Obertan, who ran at the Foxes’ defence, cut inside twice, and emphatically drove his strike into the bottom corner, leaving Schmeichel with no chance. Newcastle's Gabriel Obertan hopes the team's victory over Leicester can be a turning point for the club this season. The goal did spark the visitors into life, with Krul finally called into action. The Dutch stopper did brilliantly to smother a powerful Danny Drinkwater strike after the ball had fallen to the former Manchester United midfielder on the edge of the box. 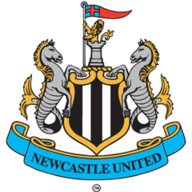 And at the last, substitute Anthony Knockaert worked space for an effort in the box, but an heroic block from Steven Taylor kept the visitors at bay and ensured the Toon Army left St James’, albeit later than they had planned, with a rare winning feeling.